The Photoset creation tool is an intuitive way for users to quickly upload photos to the media library and share them as a resources. Photosets can be displayed as a slide show, downloaded locally, shared between users, embedded into other learning platforms and incorporated into digital signage screen designs. Photosets are a great way to showcase still images and photos. Users can upload individual pictures or batch upload a series of images to create a photoset. They can then be tagged with relevant metadata to make them searchable and sharable like any other digital asset within the Planet eStream media library. 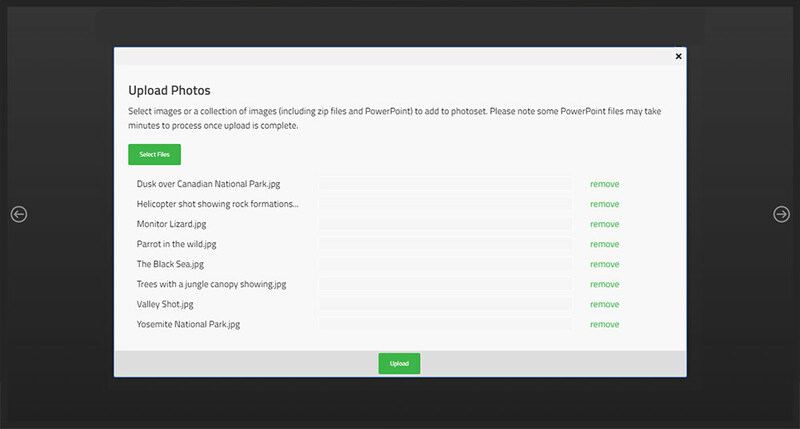 Viewers can choose to view images individually or as a slide show, there is also the option to allow users to download individual images from photosets. Some images from digital stills cameras can be a very high resolution and file size. These do not lend themselves to web based viewing. Planet eStream solves this issue by enabling users to upload these files and create a smaller proxy file for viewing in browser, but enable users to download the original full resolution source file. Photosets can be incorporated as an asset with your Planet eStream Digital Signage screen designs to be displayed as slideshows. 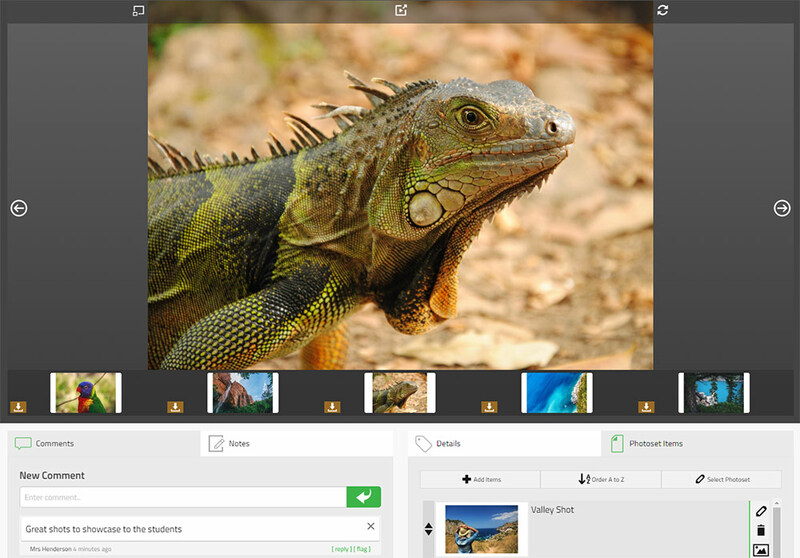 See how easy it is to create a Photoset with Planet eStream.